On Tuesday, Europe Class were up early to climb aboard a coach for London. After a long journey through busy traffic we arrived at Russell Square, next to the British Museum. After gazing up at the impressive building with its columns and statues (what we now know are the meotopes!) it was off inside to deposit our coats, bags and lunches before setting off to explore. 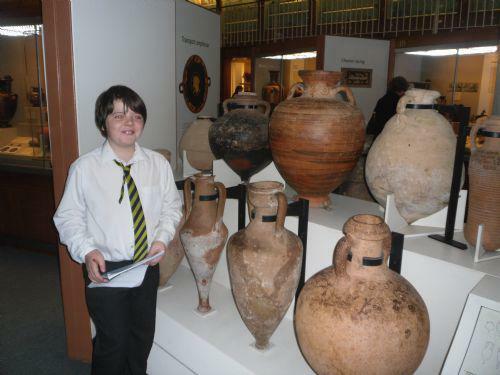 There are so many different galleries inside that we split into groups and armed with maps and information about the exhibits and artefacts we got to work. 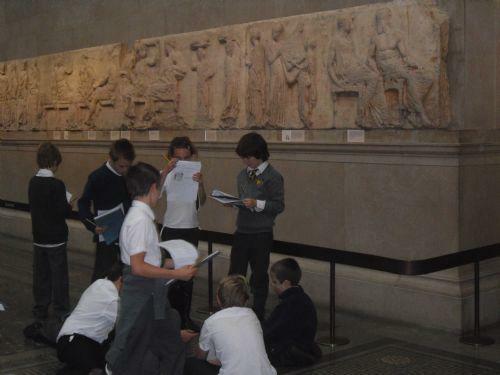 First up Mr Bailey's group went upstairs to investigate the displays on everyday Greek life, whilst Mrs Stewart-Jones led her group to the famous Elgin Marbles of the Parthenon. In the blink of an eye, it was lunch time! We headed back downstairs to the education centre, but not before stopping to see the actual medals for next years Olympic and Paralympic games. 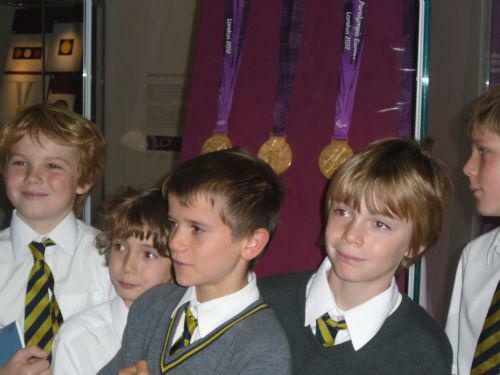 A chance for a photocall next to the medals seemed too good an opportunity to miss, so Mrs Platt took some snaps of our very own budding athletes. A quick stop for lunch and we set off again, our groups swapping activities. We took in the world famous Rosetta stone with its inscription in Egyptian Hieroglyphs, Egyptian Demotic and Ancient Greek. 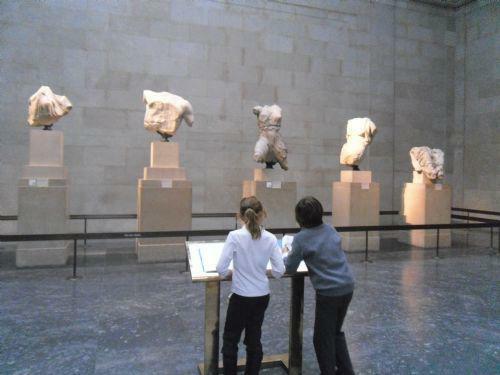 Studied the frieze and sculptures of the Greek temple to Athena, discussing the different views on their rightful home. Once more, time flew and it was time to collect our things and board our coach back to Kent. A thoroughly enjoyable time was had by all. 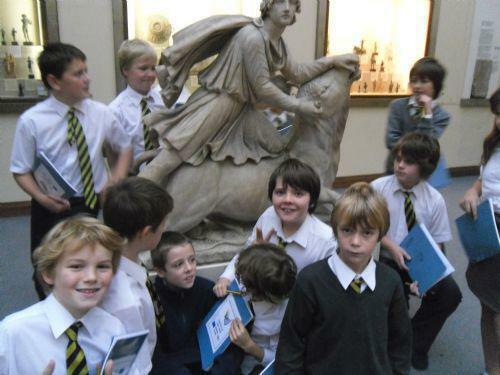 We've already started writing our non-chronological reports and next week will be learning how to apply our knowledge of the Elgin Marbles to write a balanced argument.